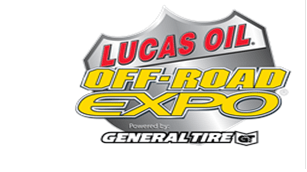 INDIANAPOLIS (October 23, 2102) — Lucas Oil Products, Inc. has agreed to extend its title sponsorship of the Lucas Oil Off-Road Expo powered by General Tire through 2015. The event, produced by The Promotion Co. Inc. — Family Events of Indianapolis, Indiana, is held annually in October at the Fairplex in Pomona, California. Lucas Oil has been the title sponsor of the Off-Road Expo since Family Events took over the event three years ago. Known as the event “where the off-road nation comes together”, the Lucas Oil Off-Road Expo is the premier trade event for the off-road aftermarket industry. The show is open to the public and attended by thousands of enthusiasts who head to the Pomona Fairplex to check out the latest products every October. Lucas Oil has thrilled the crowd each year with a spectacular live exhibition of race machines from its Lucas Oil Off-Road Racing Series on a track built specially for the show. More than 60,000 off-road fans recently attended the 2012 Lucas Oil Off-Road Expo powered by General Tire, held October 6-7, 2012, at the Pomona Fairplex. From new vehicles and thousands of parts and accessories, to ATV test rides, freestyle motocross action and Toyota off-road test drives, more than 350 of the industry’s leading manufacturers, dealers and distributors, showcased all that is hot in the off-road world. The 2013 Lucas Oil Off-Road Expo powered by General Tire will take place Saturday, October 5-6, 2013, at the at the Pomona Fairplex, located at 1101 W. McKinley Avenue in Pomona, Calif. Stay up to date with Expo news at www.OffRoadExpo.com,www.FB.com/OffRoadExpo and at www.twitter.com/OffRoadExpo.